As Christians we cherish the Old and New Testaments for many reasons. They teach us about God’s salvation through Jesus Christ. The prophecies and promises of His coming in the OT, and the revelation of Him through the Gospels, and then expanded teachings in the NT letters. As part of our new relationship with God (saved, not condemned), God invites us to approach Him in prayer. Jesus invites the hearers/readers/listeners to believe on Him and be saved. This includes forgiveness of sins, reconciliation, etc., and to approach God in prayer and to do so with confidence. 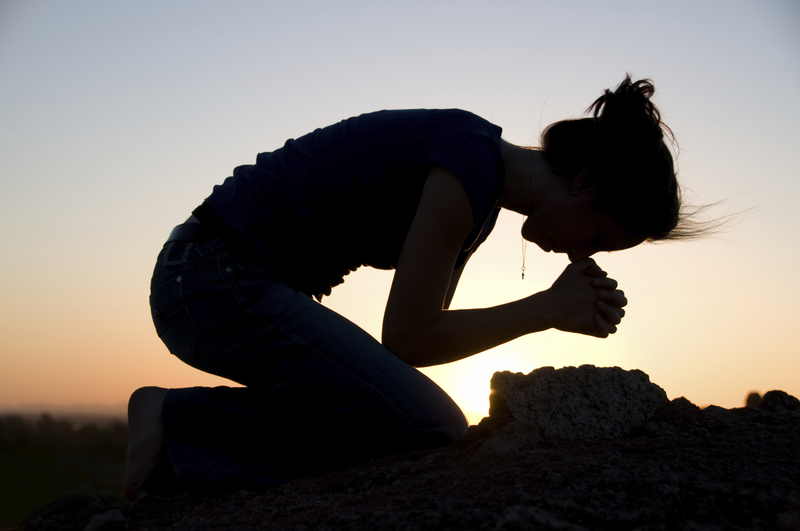 In fact, we see in both testaments the encouragement to pray, the models for praying. Reading the Psalms can be great sources of praying, and learning about prayer. For centuries Christians have grown in their prayer lives as they are influenced, guided, and directed by the Bible. As we live in this world that is scarred by sin, it doesn’t take us long to hit the brick wall of difficult prayers. I don’t mean simple prayers, but those prayers that are so agonizing that we can’t even express ourselves. Words seem to fail us. Having lived through decades of agony, fear, inability to change circumstances, I can’t even count how many times I was flat on the bed, floor, ground, crying out loud, “How long!? !” One Psalm captures that extreme sense of loss, abandonment, despair. What a comfort that God helps form our prayers even in those difficult, trying times. But now we come to the most difficult part. Trying to pray the un-prayable. This is the extreme condition when praying even seems unspeakable. When the pain is beyond description. To even say words at that point would mean that even God would be offended! Psalm 137 comes to mind. It begins with a lament. That is startling!! A few years ago I read one commentator who wrote strongly that this is “sub-Christian” and should never be uttered by anyone! Or in the words of this subheading: Praying the un-prayable. I would offer that this prayer is precisely a Christian prayer, a faithful prayer. For the Jew writing this, the agony of seeing Jerusalem and the temple destroyed was overwhelming. The agony of deportation to other lands (not just Babylon, but also Egypt). The death of many family members and friends boils in the backdrop of the mind. The Psalm is not written with a “peaceful, pretty, gentle” background. The raw emotions of the Jewish people comes through very clearly. 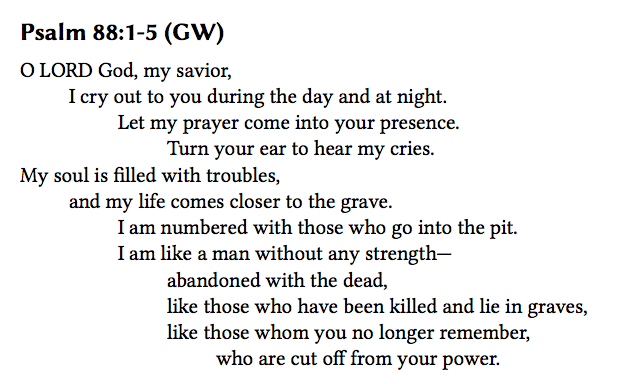 But God… and this is key… But the Psalmist who utters this prayer brings the full brunt of the desperation before God. Notice, however, that the Psalmist does not act on this violence, namely “smashing babies against the rocks.” Rather the Psalmist is praying in faith before God. And that faith is such that God can handle the anger, the frustration, the hopelessness. 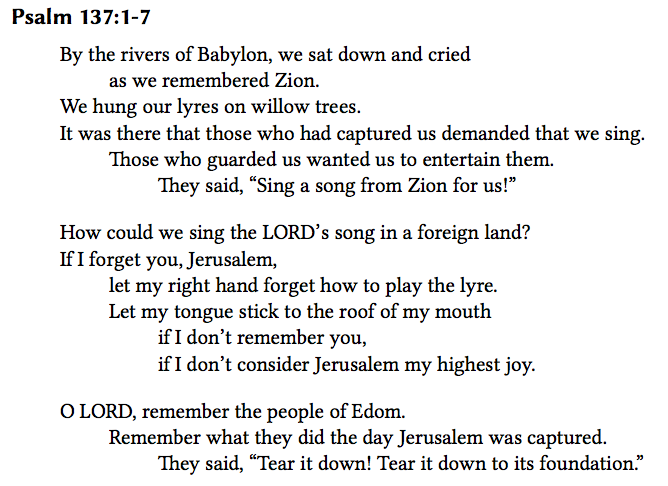 The worst of all imaginable words, yet the Psalmist brings those emotions, hurts, losses, and now even words before God. The Psalmist does not take matters into his own hands. His heart is open about what he wanted to do—before God. But justice was not in his hands. God raised up others (namely, the Persians) who conquered Babylon. Was it instantaneous justice? No, but it was far better than one person trying to take on personal vengeance. Judge Rosemarie Aquilina in the courtroom allowed those many voices to be heard. The voice was no longer one lonely, fearful voice, but a combination of hundreds of voices, angry voices of women who were finally being heard. The Psalmist of 137 gave way to God’s greater justice. And now that same process is being played out. Justice is being served. And the voices of others who have been abused are now catching worldwide attention: Abby Honold and the law named after her in Minnesota. Sammy Woodhouse who survived the Rotherham abuse ring is telling the story through her book and personal appearances. In praying this way, we are not offending God by our words. Rather we are actually trusting Him to hear, and respond in His perfect way. Not our way, not the expedient way, not the way we planned, not in the time we demand, but in His perfect way and perfect timing. We do so, knowing His promises to hear and to act. Over the years when the ongoing turmoil was moving beyond 30 years, and part of it was our one son was missing for 18 years, life was beyond messy—it felt like the Babylonian captivity. It was what I described privately as “hell on earth.” That was the strongest way to describe it. Was God offended? No, he welcomes the prayers that are un-prayable. My heart was broken into a million pieces, my words inadequate. But, God listened. As I think about those who have been (and are being) abused, I think of Psalm 137. We can pray their un-prayable prayers for them and with them. We can open our mouths before God to say the difficult words, express the hurt, anger, rage, frustration. And we know that God can handle it. That is one reason I began the daily prayer on Facebook and Twitter for #PrayerSurvivorsConquerors who suffered (and still do) under the abuse by Larry Nassar, MSU, and USAG, USOC, etc. But now, we can expand that to pray for the many who have suffered abuse in so many ways. I think of Madeleine Black, Abby Honold, Lori Ann Thompson, Sandy Beach, Mary DeMuth, and so many others. And prayers for those who care for and minister to those who have been abused. When we pray for them, we do not in any way minimize or diminish what has happened, what they are experiencing, the anguish, despair, sense of being forgotten. Rather, we pray in light of all that, we pray that God brings what we cannot. Let’s storm God’s throne of mercy with un-prayable prayers, for the sake of our sisters and brothers. We all need a bit more faith! I have prayed Psalm 88. I was in a place so dark and cold in my heart and mind that it felt like even God wasn’t there. I now refer to it as the place that angels fear to tread.